Dr Jon Summers is is a senior lecturer from the Institute of Thermofluids in the School of Mechanical Engineering at the University of Leeds in the UK. During the last 20 years, he has worked on a number of government and industry funded projects which have required different levels of computational modelling. 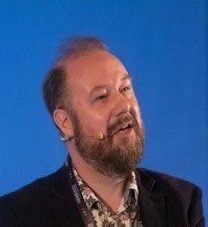 Since 1998, having built and managed compute clusters to support many research projects, Jon now chairs the High Performance Computing User Group at the University of Leeds and is no stranger to high performance computing having developed software that uses parallel computation. Applications of his computational skills have led to publications in the areas of heat transfer, process engineering, tribology, through to bioengineering and as diverse as dinosaur extinction. In the last four years Jon’s research has focussed on a range of thermal management and energy flow projects within the Data Centre, HVAC and industrial sectors. In 2013 Jon led a project with a Yorkshire based company that is pioneering total liquid cooling of IT, which went on to win the Facility Product Deployment category of the Uptime Institute Green Enterprise IT Awards. Since early 2013 Jon has been involved in a number of indirect and direct liquid cooled IT research projects. Jon’s experience in leading the development of academic and scientific research within the data centre sector has been invaluable in delivering an industry Joint Action Plan to the European Commission in late 2014 as part of a Framework 7 funded project.